Please first read the article here. T/N: Please read the article from bottom to top. Q: Mr. Matsuura, you must be tired. Very tired. The hardships of the CEO should be beyond imagination. What we can do is only cheer for you. So I will support you always. And thank you always for your great efforts. A: The job as a CEO should be such. I’m OK.
Q: Before accepting new applicants, please inform us of the information for refund (T/N: of the Bigeast). You previously said that you would announce the details by the end of this month. It may be necessary to receive new members, but please take care of us, the current members, too. A: I am sorry that we are being a little bit late. A: Let me say it again.. 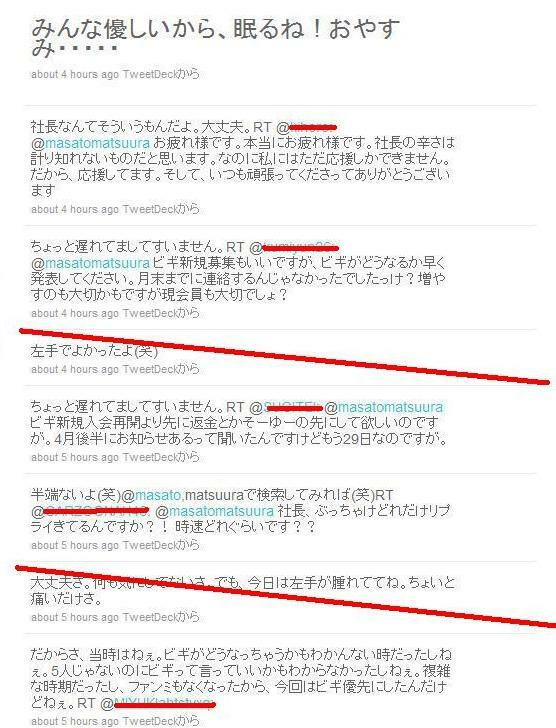 The time (T/N: when the news of the fan event was announced), we did not know of the future of Bigeast. And we did not know if we can say Bigeast, because this is not an event for the 5. It was a complicated time, and we had to cancel the fan meeting, so we gave the Bigeasts the first priority. T/N: Please read from bottom to top. A: We will accept new members soon, so please wait awhile. A: The time (T/N: when the news of the fan event was announced), we did not know of the future of Bigeast. And we did not know if we can say Bigeast, because this is not an event for the 5. It was a complicated time, and we had to cancel the fan meeting (T/N: scheduled to be held in Jan). 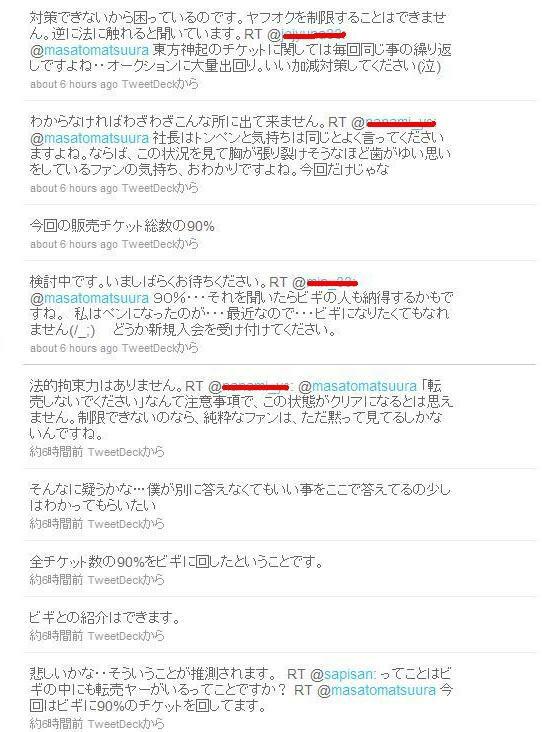 Can you understand that we are not ignoring those who are not Bigeasts? Q: Isn’t that against the fan club’s data terms? A: No, since we are controlling the personal information as in the terms, as avexgroup. 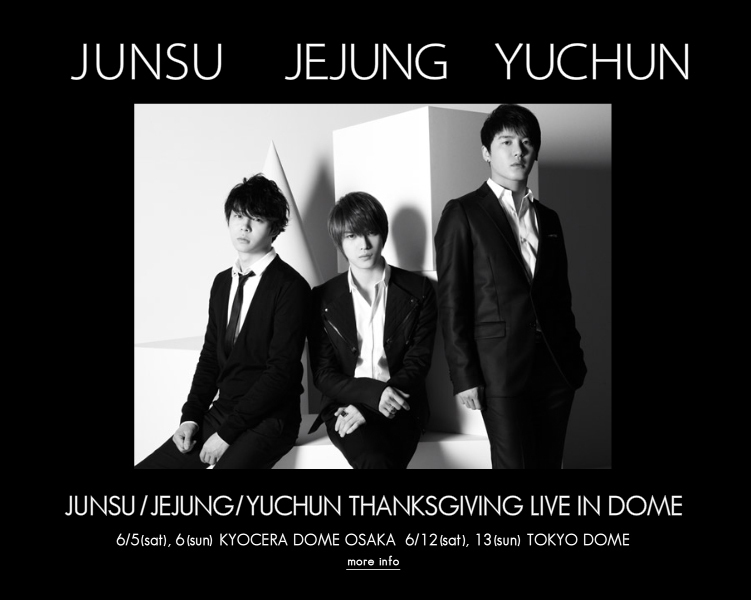 Q: a-ticket has obtained member information from the Bigeast, and referred the data with their member information. A: We were not able to apply through Bigeast, then, why do you know you chose from the Bigeasts? A: I may have kept quiet, but I could not do so. A: Please ask @TOHOSHINKISTAFF for details. A: We cannot do anything, that’s why we are in trouble. Q: You are always saying that your feelings are the same as the fans. So you should understand our fans’ impatient and heartbreaking feelings..
A: If I do not understand, I would not have come out in this place. A: The 90% of the total ticket sales. Q: Maybe the fans will understand if they hear the 90% story… I recently became a fan…I could not become a Bigeast. Please accept new members. A: We are discussing the matter over. Please wait awhile. Q: I do not think things will straighten up by just writing “Please do not resell”. If you could not put restrictions, are you saying that pure fans can only sit and watch the whole situation? A: There is no legal binding force. A: I’ve heard that 90% of the tickets were for Bigeasts. A: We have checked with the Bigeast office. Q: So, are you saying that there are resellers even in Bigeasts? A: Yes..sad to say, but we guess so. 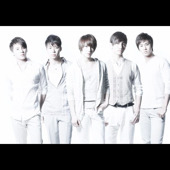 A: We have checked (T/N: the ticket applicants) with our Bigeast list. Q: So, are you saying that some of the Bigeasts are resellers? A: Sad to say… I think some are resellers. A: I am not talking only about the advanced ticket reservation, but in total, the 90% of the ticket distribution is for Bigeasts. A: The set is planned for the dome, so it is difficult to perform in other places. A: I am thinking about using the Ustream. A: This time, the 90% of the tickets were for Bigeasts. A: This time, 90% for Bigeasts..
A: I want to have additional concerts, but there is no place. A: I am not involved in details of the ticket sales, but I’ve checked with the related sections. T/N: Excuse me for writing directly into the article. The ticket results for the dome event in June was announced yesterday. Many of the Bigeasts lost the lot, but, on the other hand, there were hundred of tickets in the auction sites. 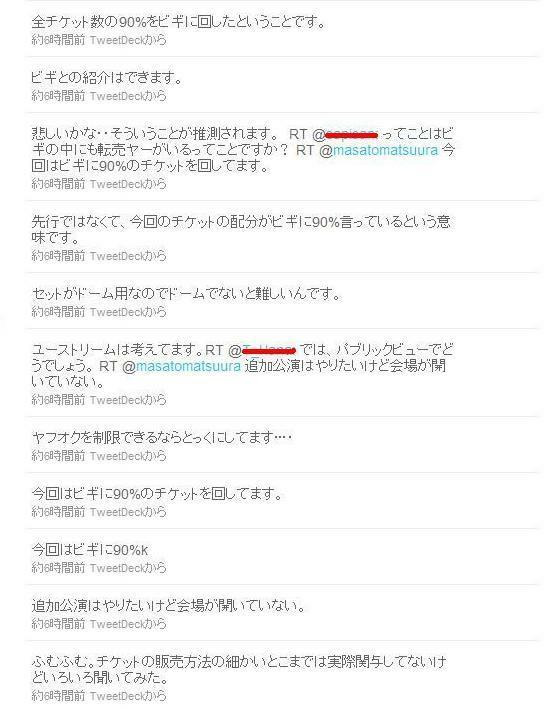 We, the true Bigeasts were very depressed by the situation, thus, great numbers of messages were sent directly to max’s twitter. 23 year-old Korea new face, Kim JunHo, debuted with the help of his twin brother, Kim JunSu (a.k.a Xiah), member of popular group Dong Bang Shin Ki. But unlike his younger brother who had gained his popularity from Korea and the rest of the world, he had chosen to debut at China. Not only did he sign on a contract with a BeiJing agency company, he had also held his first showcase at BeiJing. Dong Bang Shin Ki had debuted for 7 years, their popularity keep on raising without falling, however recently there are some ‘dispute’ rumours, heard that they held numerous meeting at both Korea and Japan early this month, the decision is ‘solo activities’, and of course their future activities will gather much attentions. However the organizing company expressed that the reason for Kim JunSu to visit Singapore is mainly to show his support for his brother as a guest performer, the main focus is still Kim JunHo. The organizer also mentioned that other than the 1st May showcase at Resort World Sentosa (RWS), JunHo is going to appear at IMM the next day for a handshake section. Currently they are planning to have a fan sign section at Somerset@313 HMV outlet on 2nd May afternoon, but it’s yet to confirm. During the 1-hour showcase, JunHo will be performing 5 songs, games and activities with the audiences, giving a chance to fans to get closer to him. Organizing company also pointed out that the tickets are 90% sold. Dong Bang Shin Ki’s JunSu agreed to appear only at one of them, performing one ballad song. As for the other 2 events, the organizer admitted, “this had to depend on JunSu himself”. A team of 21 people will be coming over from Korea, Kim brothers are not picky when come to food, wants to try out local delicacies. Kim JunSu will reach Singapore tomorrow at 21:20, flight KE 641. He is going to meet up with his brother at the restricted area together with a group of 17 people before heading out of the arriving hall. The team consists of managers, stylists and dancers. 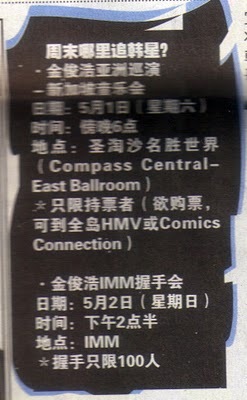 Local fans can purchase JunHo CD at HMV, and Singapore stop is the third stop of Zuno Showcase after BeiJing and Tokyo. Where to find Hallyu Stars during weekends? Bigeast distribution plan, “The Ultimate 10 Songs You Choose” to be “My Only BEST SELECTION 2010″, thank you for the many entries! The result of everyone’s voting is below! Are all of them as expected by you? Click here to get the album, and regarding the distribution, we’re now in the midst of transmit it to Itms, mu-mo, MUSICO, and others! – First, Yuchun will have his Japanese drama debut by starring at BeeTV drama “Beautiful Love~kimi ga ireba~”, and since you’re in charge of the theme song, can you please give us your thought about the drama? – “Kimi ga ireba~Beautiful Love~” is the song that was written for the drama, please tell us your thought that you put into the song. Junsu: To meet the expectations of the producer who kindly told he wanted me to sing it, the song’s lyrics was written to fit the contents of the drama and I tried to sing it in my own way. – This series will debut in Japan, so what is your opinion about this first work (role) offer to appear in drama? Yuchun: I have never done acting seriously, moreover the Japanese…. honestly it’s very uneasy. – This is also your first time filming in Japan, how do you think about the actual shooting? Yuchun: It went well, all co-stars, also thanks to the director and all staffs’ support, it was really fun. All the artists seemed to do it seriously, and I thought the artists schedule was a tight one. Yuchun: Since the shooting went with no time to practice at all, everday at the end of filming I would still stay with my manager at home and studied the script for the next day filming. I had lack of sleeping time. The anxiety and pressure whether I have already prepared myself properly and the need to sleep soon, also I didn’t have any appetite to eat, it was really hard. But acting is fun and going for filming is fun too, I’m able to experience the life of someone that wasn’t me, it’s amazing. For a shooting that only lasted for one week, I received tremendous excitement! – The role taken by Yoochun is Yonsu, the son of conglomerate, whose personality is so overbearing that is too hard to take by most people. Can you tell me the difference with your own personality? Yuchun: Eventhough Yonsu is the son of a chaebol, he’s actually a lonely person. What human values, is not one that is important. Yonsu and I are very different but I feel like I can understand him. Someone like Hinata for Yonsu, to me currently is the members who are like family to me, and all fans, I’m happy because there are always someone who support me. – Furthermore, while Yonsu was walking around showing an overbearing manner, in fact he’s in agony for his life bound. The inside of him is screaming to get freedom and that is one hard part you have to do, have you been prepared for it before the shooting? Yuchun: There is may not any special preparation… I didn’t have much time (laughs). But, I’ve been imagining myself as Yonsu. I feel empathetic to this character, it’s hard to be him. – Yonsu, after he came to Japan and met Hinata, his life changed. While for Yuchun’s own life, can you think of something you’ve met that has changed your life? Yuchun: I have a lot~ In this drama, Since I met with many great actors, staffs, and director, I discovered the fun of acting. I could even dream now of becoming a performer who can act too. Those are things I met which changed my life! – For this drama, I think there was a shooting scene where you and Hinata went on “Tour dates in Tokyo”, probably those places aren’t ones you usually go to on daily basis, right? 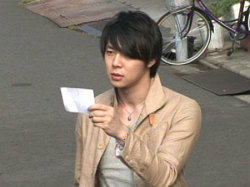 So Yuchun san, do you have a preferrable date spot in Tokyo? Yuchun: Asakusa! Even if not for a date, I want to go to somewhere private. – After this first challenge in Japanese drama, would you like to continue acting from now on? Yuchun: I want to try it again! But I also want to sing soon! – Finally, thank you for your coorperation in this interview. Yuchun: Yonsu and Hinata, I’ll be happy if you can feel the movements of their heart. 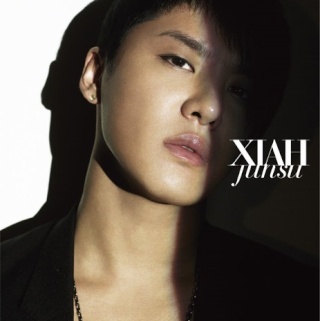 Also, XIAH Junsu will sing the theme song “Kimi ga ireba~Beautiful Love~” for our drama, please check it out. The results of the ticket lottery were out, how was the results? If you look in carefully, some of the names are the same. They should be professional traders. They should have applied, using many names of their friends. The price should go up, higher up, to the top. Everytime I go there, the numbers of tickets on sale increases. 100000yen (1080USD) per ticket? 150000yen (1630USD)? And many are already under negotiation. They should not have sold the ticket at a-ticket. I could not understand what avex is thinking. The “Thanksgiving Live” should be for the true fans. What is the meaning of the Bigeast fan club? Not only professional agents but also the students participate in the tickets auctions in order to increase their pocket money nowadays. I once met a person that became a member of the Bigeast for such reasons, since they know that Tohoshinki tickets can be sold at high prices. I complained to her, using many words. But she did not understand me. Do you think it is right for the parents to agree on such methods? I am so sorry that this day should come. I heard that this time, the lottery rate for this dome event was 40 to 50 times. What is the meaning of “Thanksgiving”, if those who really want to go could not go. I know that the 3 members are not wishing for this situation. avex! Please think a little bit more. There seemed to be tremendous amounts of complains on the twitter. But, we are fortunate enough to hear the true voice of CEO Max through the twitter, so these are the speedy good days. I have copied the contents of Max’s twitter here. He is saying that they have checked the personal data, and 90% of the tickets have gone to the Bigeasts. How was the situation for you? But thinking deeply, since 90% were selected from Bigeasts, the many persons giving out the tickets in the auction sites are mostly Bigeasts. That gave me a great shock. 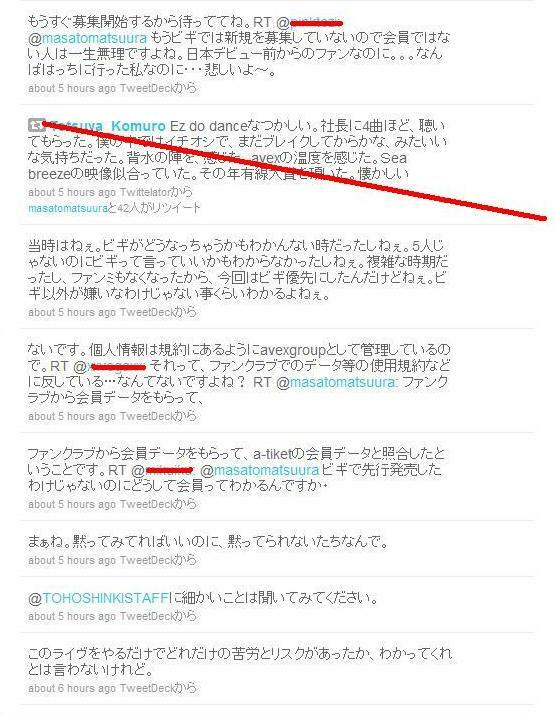 Are those people members of the Bigeast because they want to make profits from Tohoshinki? The Bigeast magazine, which the Bigeast office dearly publishes…Are they going to the trash bins immediately after they receive them? Or, are they also giving them out to the auctions? Magazine reporter Hinata (Aya Oomasa) was visiting South Korea for a magazine interview. Whilst she met one of the baddest man by chance, Yong-soo (Yoochun), the son of South Korean chaebol Yasunori group. Later on, Yong-soo as the representative of the conglomerate group came to Japan to buy a major hotel line. When Hinata returned to Japan, she’s surprised to again, encounter Yong-soo who was wandering around the city!? Hinata was being unaware that he’s the rich son being rumored to lost on street, while Yong-soo has escaped for freedom as he’s fed up of the life bound to be a conglomerate. Through multiple interactions, the two started to understand each other more… without status nor money, what is the thing a human actually needs? While Yong-soo and Hinata sought for it together, how will the love story between them will finally head to?